About Markéta L. Message Markéta L.
Marketa was a delightful surprise - both her depth of knowledge and her charming personality. We spent our first day driving outside the city with constant commentary about the history of the area and the current day situation in the outer city areas. From the terrorist history of Terezin, a way stop for a traditional Czech lunch, and a side trip to Dresden, Germany our day was complete with emotional highs and lows. Marketa was an incredible leader with much insight into our personalities. Marketa was a charming and very knowledgeable guide who obviously loved her city and wanted to share it. She structured the tour to allow the right amount of panoramic touring by car (the driver was excellent) and walking. We covered a lot of ground and saw bits of Prague that friends who had previously visited had never seen. In summary, a great tour with a wonderful guide. Great tour guide, she has alot of knowledge of the city. We ate a traditional place that was great. The walk around the city and seeing the different sites. We only had a short airplane layover but seen alot of the city. Thank you for a great day!! Our guide made a point of designing a trip catering to our needs, especially when we told her we were interested in art and architecture. She also suggested wonderful things to do on the remainder of our trip...even outlining what order to do them in for efficiency. 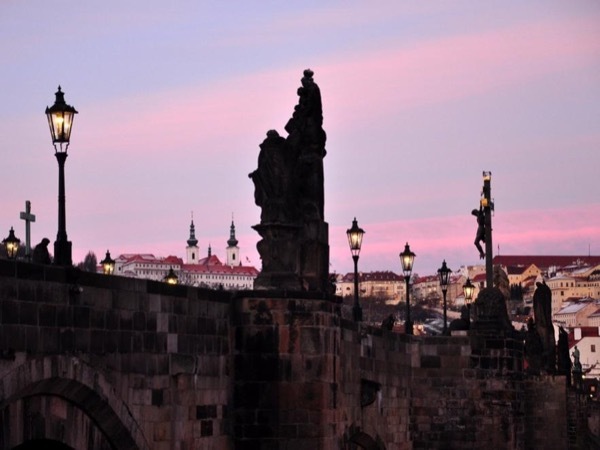 This tour gave us an overview of beautiful Prague but Marketa made it special. She is personable, caring and extremely knowledgeable. And her English is easily understood! She even took us to the Farmer's Market by the river which was not on the tour but gave us such a flavor of life in Prague. She went out of her way to go beyond what was expected. Her restaurant recommendations were fabulous. I highly recommend Marketa to anyone who is coming to Prague. Marketa was fabulous for our family's first day in Prague. She showed us all the historical and local sites and explained the history and importance of each place. She shared her vast knowledge with us and added a personal touch as well. She was also most helpful in advance in guiding us how to plan our remaining days and also other day trips and restaurant recommendations. We had a couple wonderful dinners and New Years Eve celebration with her guidance! Would definitely recommend!